Risk analysis and assessment - IZW Leibniz Institute for Zoo and Wildlife Research in the Forschungsverbund Berlin e. V.
To preserve the biodiversity of our planet and to stop the decline of animal species, threats to wildlife populations need to be identified and assessed. The investigation of the causes of mortality and diseases is a key issue for prediction of the dynamics of wildlife populations. Changes in land use, decline and modification of natural habitats and harvesting (hunting, egg collection and other activities) also can have a major impact on wildlife populations. Long-term field studies are important to provide the necessary background and gather sufficient data to discover the mechanisms that drive the dynamics of wildlife populations and their declines. Connectivity of a landscape is important because it may allow exchange of individuals among habitat patches and can counteract stochastic local extinction. It has therefore important consequences at the population level. A good understanding of the interplay between landscape structure and interpatch movement on population dynamics, i.e. functional connectivity, is crucial for focussing conservation efforts. Hereby, dispersal is a key element in the dynamics and persistence of spatially structured populations. The decision-making process by which animals respond to the landscape during dispersal affects spatial patterns and biological processes at multiple spatio-temporal scales. Therefore, understanding animal-landscape interactions in the context of movement, dispersal and connectivity is a focus at the IZW. Here, we combine basic research to understand movement motivation and capacity with telemetry studies and synthesise it with landscape ecology, landscape genetics and theoretical simulation models to develop conservation measurements that can be incorporated into planning processes, e.g. of wildlife corridors. Humans manage an increasing portion of ecosystems and wildlife populations worldwide, mostly in a non-sustainable way when highly sensible ecosystems such as tropical forests are considered. Many wildlife species are sensitive to disturbances such as selective logging, deforestation, hunting and tourism. Anthropogenic stressors can cause a variety of physiological responses in animals, ranging from briefly elevated to chronic stress when facing, for example, noise, reduced food availability or lack of adequate shelters. In vertebrates, behavioural or physiological stress responses are mostly mediated by the hypothalamic-pituitary-adrenal axis that triggers the secretion of glucocorticoid stress hormones. Temporary increases of plasma glucocorticoids levels are beneficial for the immediate survival of individuals; yet chronically elevated glucocorticoid levels are detrimental for the health, reproductive fitness and survival of vertebrates. Chronic stress caused by the disturbance of ecosystems by humans may consequently have large-scale negative consequences on the health of wildlife species. A team of the IZW is currently looking into the effect of artificial light on strictly nocturnal animals such as bats. To achieve this, IZW researchers compare the bat diversity at illuminated places and dark control sites in German cities. Analysing the causes of mortality in threatened wildlife populations is a key condition to prepare any form of integrated conservation concepts. 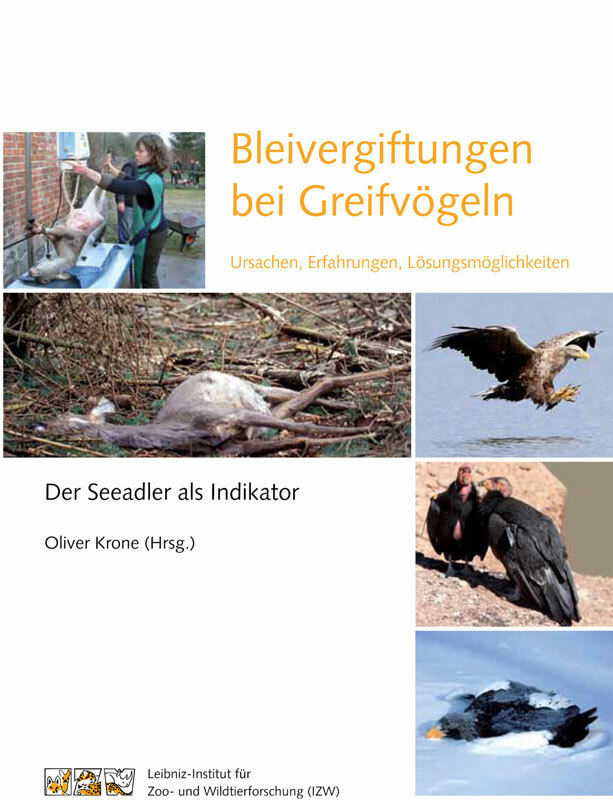 A very instructive example is provided by lead poisoning in birds of prey in Germany. 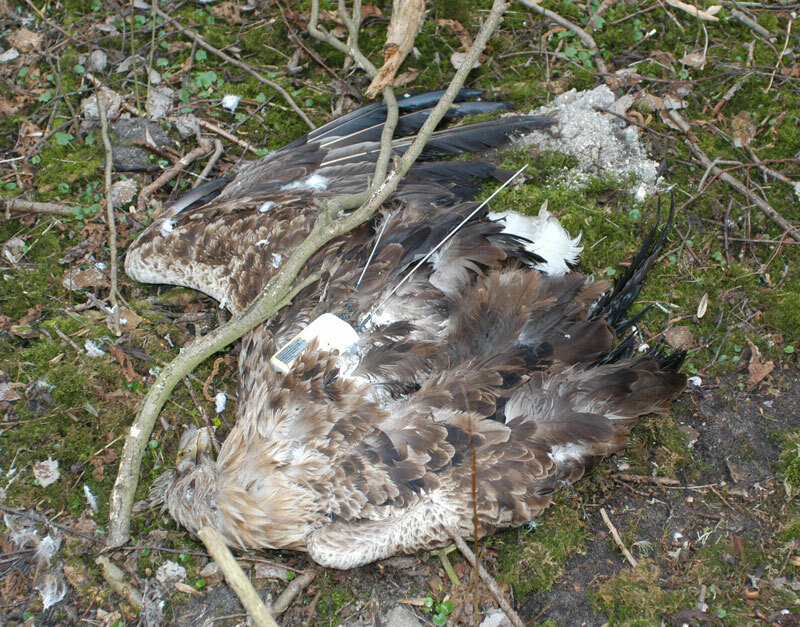 Lead intoxication caused by oral ingestion of fragments of lead-based hunting ammunition is the most important mortality factor in white-tailed sea eagles. 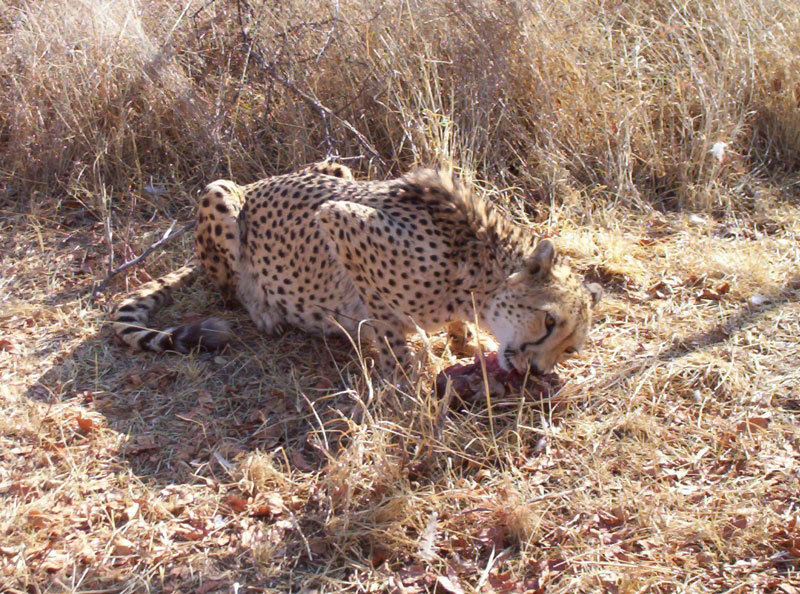 A joint research project initiated by the IZW has investigated feeding behaviour and food choice, home range size, habitat utilization and the impact of lead induced mortality for the population. In addition, fragmentation of conventional lead-based bullets was visualized in digital radiographs, performance of lead-free bullets was studied and toxicity of the alternative bullet metals, copper and zinc, was tested in an avian model. All results were discussed with the relevant stakeholders involved during the study. At an international conference, a joined declaration by all participants called the federal ministries in charge to support the remaining necessary tests and to enforce the phase-out of lead-based rifle ammunition in the distribution area of the white-tailed sea eagle. Since then, the international awareness of lead accumulation and intoxication in birds of prey has grown and subsequently indicated a potential risk for humans consuming wild game meat. On the national level, several federal states, national parks and hunting districts have banned the use of lead based rifle ammunition already. People-wildlife conflicts in Eastern Africa: Conflicts between different interest groups (stakeholders) and wildlife are highly diverse and include for example predation on livestock by wild carnivores, the transmission of infectious pathogens between domestic animals and wildlife, and illegal offtake of bushmeat by local hunters. We have conducted and also reviewed studies of other researchers in East Africa on (1) predation by wild carnivores in terms of the economic cost of livestock losses to farmers, (2) the use of mass vaccination campaigns to induce non-physical barriers of immunity against the spread of pathogens and (3) the mechanisms on how costs and benefits of hunting determine the spatial distribution of hunting activities. Although farmers may suffer economic Iosses caused by livestock predation, these Iosses are often minor compared to those caused by disease. Livestock losses would best be ameliorated by processes that reduce the high loss of livestock to disease such as improved veterinary services and education in animal husbandry. However, mass vaccinations are not always logistically feasible and are often unsuccessful, particularly when vaccines are directed against canine distemper virus and rabies virus. Two factors associated with bushmeat hunters were poverty and a low Ievel of education. The development of environmentally appropriate income generating activities would help to reduce both factors and an improvement in the Ievel of education would also likely achieve beneficial results. Increasing parts of Germany are currently recolonised by species that had previously gone extinct (e.g. wolf, lynx). In a collaborative project we are part of a team that will establish individual genetic markers (SNPs) for elusive carnivores such as Eurasian lynx, Eurasian otter, grey wolf, the wild cat and the brown bear. We aim to reveal (1) the genetic basis of their colonisation patterns in Central Europe, including large-scale westward-directed gene flow from Eastern Europe; (2) the contribution of genome-wide genetic diversity, and (3) the impact of inbreeding on long-term colonisation success. Several species considered severely threatened throughout Central and Western Europe still occur in larger, connected landscapes and in population sizes sufficiently large throughout Eastern Europe and the temperate regions of Asia. These populations form a huge reservoir for recolonisation through long-distance dispersal of the depauperated Central European fauna. Without an understanding of large-scale gene flow and population dynamics, dispersal and recolonisation dynamics of large carnivores and other mammals cannot be fully understood. Our data will help to understand and monitor biodiversity changes on large landscape and regional scales, and to predict if and under which circumstances people and wildlife can coexist in highly used and densely populated areas. The assessment of human impact or diseases on the survival of species, such as fragmentation due to roads, is increasingly relying on population viability analyses (PVA), which use demographic models incorporating various aspects of the ecology and behaviour of the species concerned. The most recent developments in spatially explicit agent-based simulation models have demonstrated the usefulness of integrating demographic and dispersal data with detailed knowledge of the landscape geometry, thereby temporally projecting population trends. One key aspect of agent-based models is that they can account for heterogeneity among individuals, local interactions as well as adaptive behaviour and are therefore used to explain complex system-level behaviour. For example, models incorporating the complete life-history together with individual behaviour towards landscape structures while dispersing can be used to assess conservation measures, such as creating corridors, in respect to the long-term population development. In that sense, also spatially-explicit measures, like vaccination campaigns or habitat restoration, can be evaluated or the effects of host-pathogen co-evolution happening on the individual level can be followed over time. East ML, Nyahongo JW, Goller KV, Hofer H (2012) Does the vastness of the Serengeti limit human-wildlife conflicts? In: Somers MJ, Hayward MW (eds) Fencing for conservation: restriction of evolutionary potential or a riposte to threatening processes? pp 125-151. Springer, Heidelberg, New York. Hofer H, East ML (2012) Stress and immunosuppression as factors in the decline and extinction of wildlife populations: concepts, evidence and challenges. In: Aguirre AA, Ostfeld RS, Daszak P (eds) New directions in conservation medicine: applied cases of ecological health, pp 82-107. Oxford University Press, New York. Voigt CC, Popa-Lisseanu A, Niermann I, Kramer-Schadt S (2012) The catchment area of wind farms for European bats: A plea for international regulations. Biol Cons 153: 80-86. Klar N, Herrmann M, Henning-Hahn M, Pott-Dörfer B, Hofer H, Kramer-Schadt S (2012) Between ecological theory and planning practice: (Re-)Connection of forest patches for the Wildcat in Lower Saxony, Germany. Landscape and Urban Planning 105: 376-384. Lange M, Kramer-Schadt S, Thulke HH (2012) Efficiency of spatio-temporal vaccination regimes in wildlife populations under different viral constraints. Veterinary Research 43: 37. Lange M, Kramer-Schadt S, Blome S, Beer M, Thulke HH (2012) Disease severity declines over time after a wild boar population has been affected by Classical Swine Fever – Legend or actual epidemiological process? Preventive Veterinary Medicine 106: 185-195. Kramer-Schadt S, Kaiser T, Frank K, Wiegand T (2011) Analyzing the effect of stepping stones on target patch colonisation in structured landscapes for Eurasian lynx. Landscape Ecology 26: 501-513. Krone O (2011) Bleivergiftungen bei Greifvögeln. Ursachen, Erfahrungen, Lösungsmöglichkeiten. Der Seeadler als Indikator. Proceeding of the Conference "Bleivergiftungen bei Seeadlern: Ursachen und Lösungsansätze" from April 16th 2009 in Berlin. Berlin: Free University. p 127.